Hello! Congratulations on your engagement, and thank you for found us. We are coordinate Japan weddings (base on Hiroshima, Okayama, Kobe, Osaka, Kyoto), and destination weddings. If you have any questions or inquiry, please feel free to contact us. We are coordinate several weddings (at the beach, house, church, vow renewal..etc) in Hawaii. Of course, we are also able to arrange destination weddings all over the world! If you have interested in Traditional Japanese weddings, Elopement weddings, and destination weddings and parties in Japan. Please contact us at your convenience! 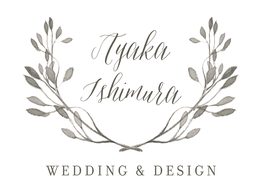 Copyright© 2015 AYAKA ISHIMURA Wedding and Design.